my question is what colour white should i paint it ???? 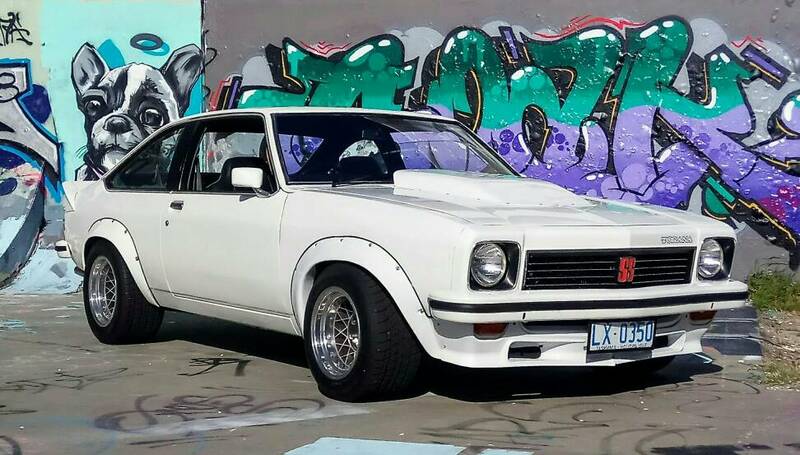 what colour white would you/did you paint your car???? Hi mAte glacier white is a nice soft shade of white, for a buetiful colour search for Spartacus blue metallic a mate had it on an LC GTR and looked brilliant. Depends if you're looking for period correct, Cotillion White finished in 1976, it was replaced by Palais White from '77 on. Mines Feb 77 and Cotillion white?? To me, palais for sure, with the low gloss blackouts, really suits them like that i reckon, especially with the widened a9x rims, simmons, or hotwires ! Looks clean tuff & classy. Gary. Just to let you know, when you make up a colour by adding pigments, it gains uv protection that a straight tinter doesn't have, that's why it's done. & quality paints mixed accurately are usually easy to colour match straight of the machine. Gary. anyone know what colour this hatch is? -Gary have you got a reference pic???? Edited by jonesy, 29 July 2018 - 11:50 PM. Says Suzuki pearl white in the article. 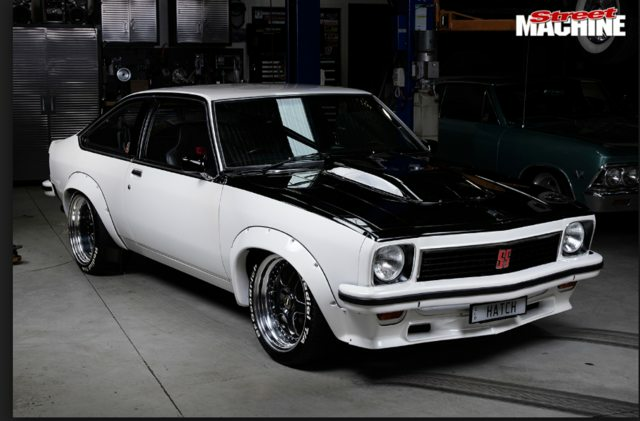 Gene is on the money mate, satin black, although gmh would have referred to it as, low gloss ! Tuxedo black mark 2 i think it was, happy to be corrected. Sorry mate, my lx 4 dr, was palais with gloss black (gloss was the big trend at the time) i don't think i even have photos of it anymore though. & a friend is building 1, painted properly, looks absolutely brilliant, but the photos were saved to my phone that pooped itself 1 month ago, lost about 2,500 photos including car's & family. 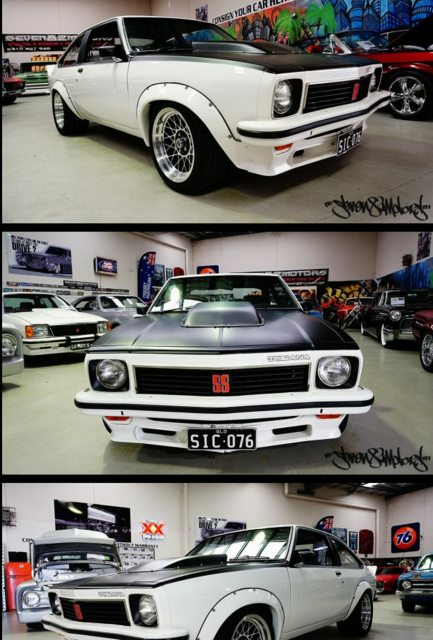 The street machine a9x give away car was painted palais, with the low gloss blackouts & gold v5 simmons if you can find an old photo of it mate, sorry i couldn't help out, Gary. Personally I think the gloss black looks much nicer than the satin on a white base. I had that combo on my old LH sedan with whatever factory white it was. I must admit I always wished the car was a colour other than white but to each their own.